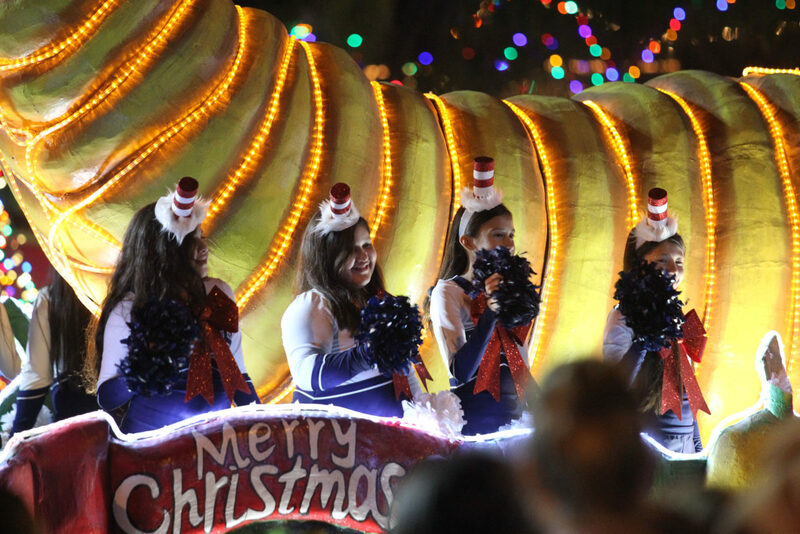 HIDALGO — Spirited children squealed as the Lorax waved to them from a float bearing tropical palm trees and holiday decor Friday night. 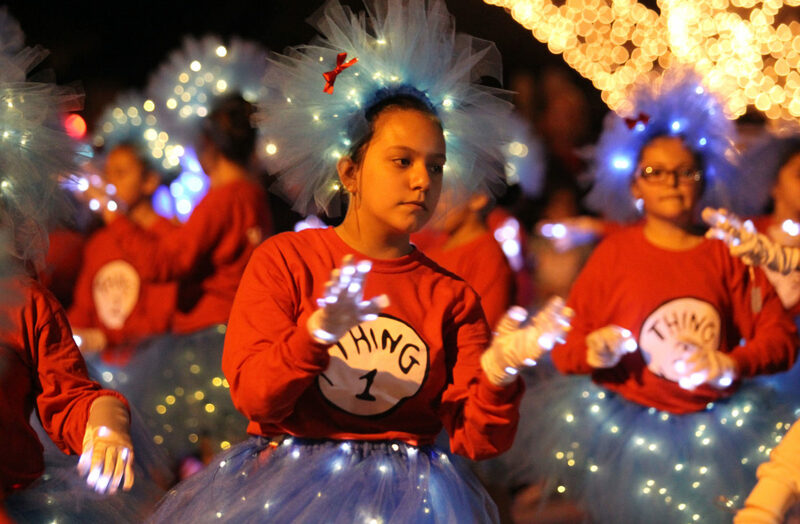 Carrying the theme of Dr. Seuss, this year’s Hidalgo Illuminated Parade lineup included elementary school cheerleaders donning Thing 1 and Thing 2 outfits, and high school mariachi ensembles performing their renditions of holiday classics with the Cat in the Hat strapped behind them. 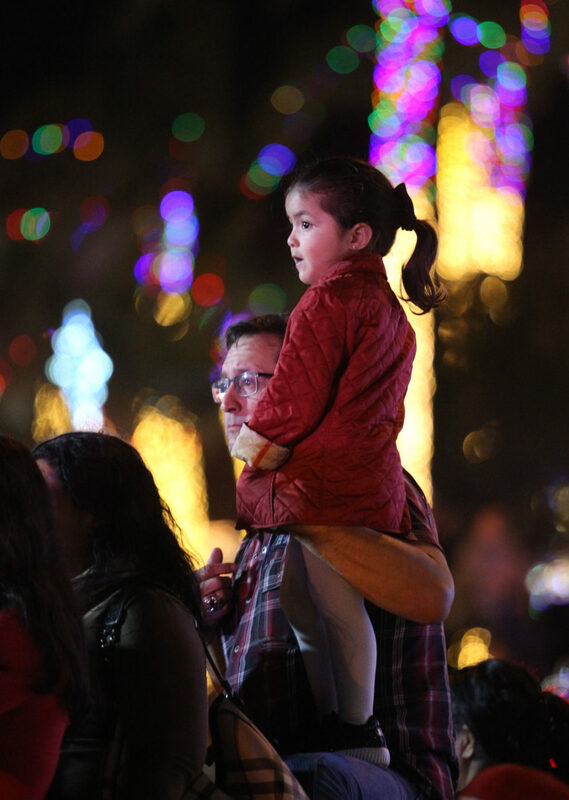 Alan Johnston, who has attended the Hidalgo Illuminated Parade for the past eight years, says that his favorite part of the event is witnessing the joy of the crowd. The annual parade marks the opening of the Festival of Lights, a 9-mile-long track in Hidalgo that is boasted as the largest Christmas display in Texas. Visitors are welcome to explore until Dec. 31. Giselle Guzman’s favorite part of the night was seeing the Grinch after watching the character at a movie theater recently.